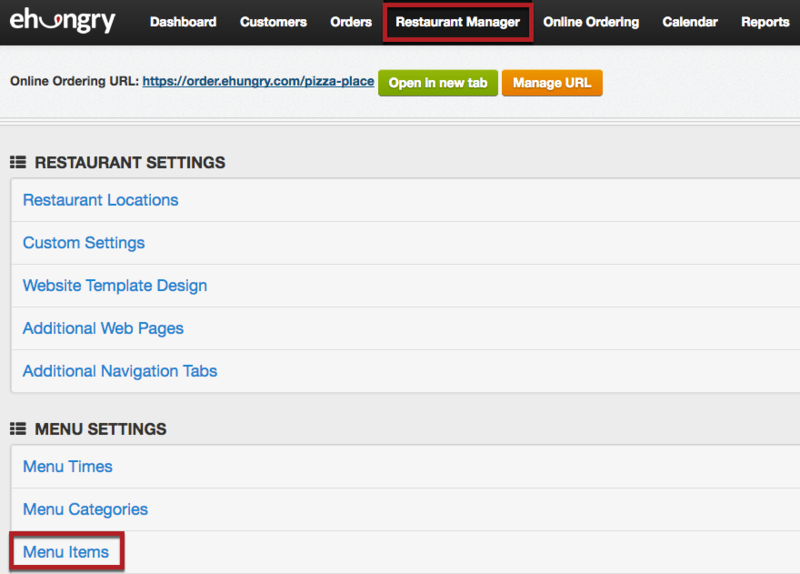 In your Online Ordering Console, you can delete a menu item by selecting "Restaurant Manager" from the main menu, and then selecting "Menu Items" under the "MENU SETTINGS" heading. Find the menu item you want to delete and click the X Icon to the right of it. This will remove the item from the system. Please note that this permanently deletes the item. In some cases it may be better to hide the item or uncategorize the item. Both of these options keep the item in the system, but prevent customers from seeing or ordering the item. This is useful if you may offer the item again in the future. To uncategorize an item, click the pen/paper icon next to the item you no longer want to have shown. Scroll down to Categories and here you will see where your item is currently being shown. To uncatagorize the item simply deselect all the boxes so none show a check mark. Be sure to scroll down and click Save This Information when you are done!